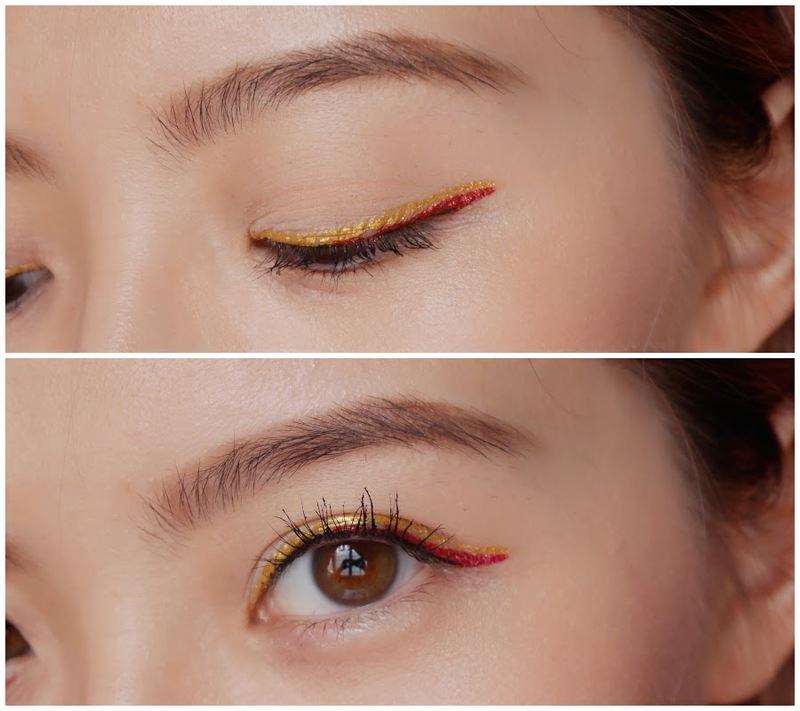 How about a bouquet of metallic eyeliners, my friends? Yup, let's go crazy because shu uemura launched its metallic bouquet 2015 spring summer collection and holy moly, it's so festive and summer ready. It's feminine, playful and quite versatile. metal:ink, the eyeliners, is only part of the collection. They have other products such as 4 shades of pressed eye shadows, 5 limited edition rouge unlimited lipsticks, and a fabulous pair of limited edition graphical falsies. But I will only be reviewing these gorgeous eyeliners. Uchiide, shu uemura's international artistic director was inspired by "Hanabi" fireworks that decorate Tokyo's night skies during the festive New Year season. Thus, comes the bold, vivid hues, with daring colour and luster to give this bright, feminine and warm summer's look the edge. I am truly impressed by these metallic liners. From the formula to the brightness and the longevity of these colourful babes are just absolutely amazing. For starters, let's talk about the formula. Many times, people pass of metallic liners as something that's filled with glitters. This doesn't even come close to that, thankfully. Because metallics are suppose to shiny without that whole glitter drama and this is great because not everyone can stand the reflective attitude of glitters. It glides on very smoothly, quite precisely (many thanks to the flexible brush tip), and when it dries, it somewhat "hardens" that makes it super long lasting and doesn't smudge. Yes, with just one swipe, you can already achieve a really bold, bright, pigmented line. The swatches above are done with just one swipe. However, I highly suggest that you go over it one more time to make the colour really pop and much more opaque. This product is buildable, the more you layer, the more intense it gets but I really don't think you should layer it over 6 times as it might get too thick and not very pretty. I love the packaging as it's simple and so sleek, making it perfect for travelling. It comes in 4 defining shades - Black, Brown, Navy, Purple - and 6 vibrant shades - Red, Blue, Pink, Green, Silver, Gold - to sum up a total of 10 metallic shades. It's waterproof, the colour doesn't change as the day goes by and it's surprising quite easy to remove with cleansing oil. For more information, visit shu uemura Malaysia website or Facebook page.